Two-colour pendant made of 316L steel - black cross with thread screw and a clear zircon in the center. By buying this product you can collect up to 4 points as a voucher of $1.08. Your reward points. 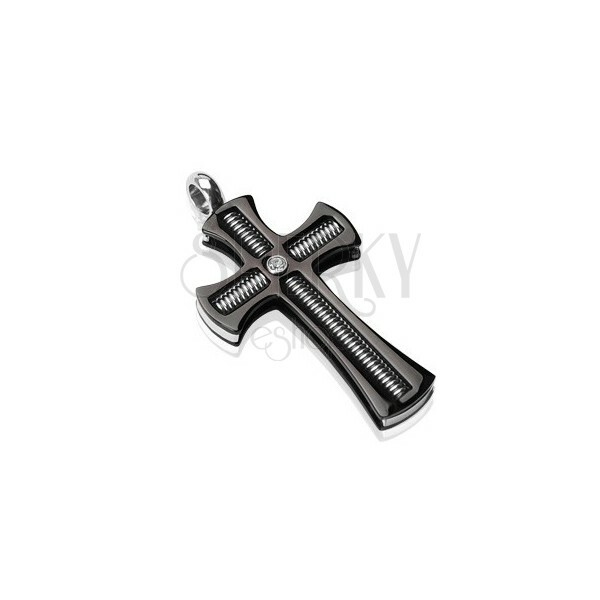 Steel pendant in silver colour in the shape of a cross. The arms are slightly expanded, they are hollow and filled with the thread rod. The cross is black on the top. In the point where the arms meet, there is embedded glittering round zircon in clear colour.